The Head of the Charles got underway again yesterday, Sunday with an Oxford Brookes University Boat Club crew of some pedigree competing in the Men’s Lightweight Coxed Fours. 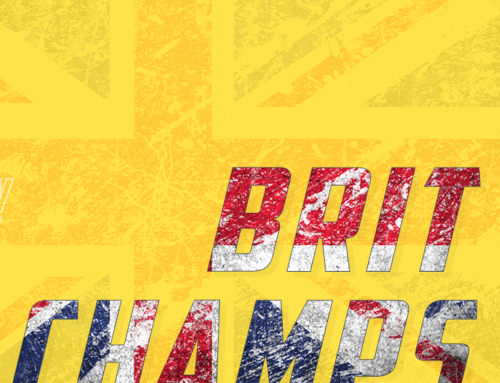 The crew comprising Jamie Copus (GBR LM2x), Patrick Tawns (OBUBC), Peter Chambers (GBR LM4x), Joel Cassells (GBR LM2-) and Jack Carlson (USA Cox). We caught up with Cassells, at 23 years a veteran of international lightweight rowing, as he was preparing to fly home. “This is my first trip to the Head of the Charles and like everyone else in my crew, we have been blown away by the event. It can only be compared to Henley with the excitement and just the density of it all. I hope in the future more British crews will get to go and compete because it has to be right up there on any rowers bucket list. If you are a rower you have to make the trip over. People were shouting “Yeah Brookes” down the course and I was trying hard not to look and upset the boat; there’s so much support”. The Brookes time of 15:43:413 broke the course record which has stood since 2003 at 15:49:63, set by the New York Athletic Club. 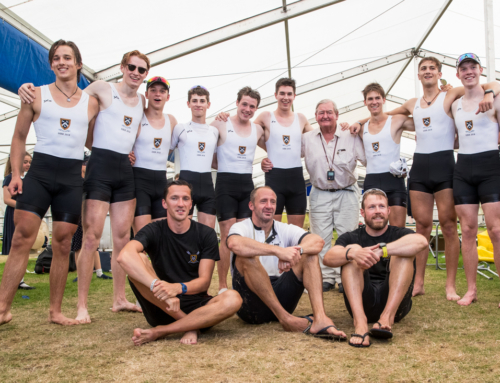 Sadly the Yale lightweight crew, coached by Andy Card, Head Coach at Yale for 29 years, narrowly won the race by 0.5 seconds, in a new record time of 15:42:932. “We had a very good row – we couldn’t have done anything more, it was a good and solid steady piece. We’re Brookes rowers, we never give up, it’s in our blood. Just past Anderson Bridge, we crossed blades with a Cortlandt Community College masters four which probably cost us more than what we lost by. But it’s like any head race, these things happen and they didn’t mean to hold us up. We just have to accept it and anyway we’ve had a really great time – it’s been a great trip”. US clothing brand, Rowing Blazers, owned by longtime supporter of Taurus Boat Club and OBUBC, cox Jack Carlson, sponsored the trip. 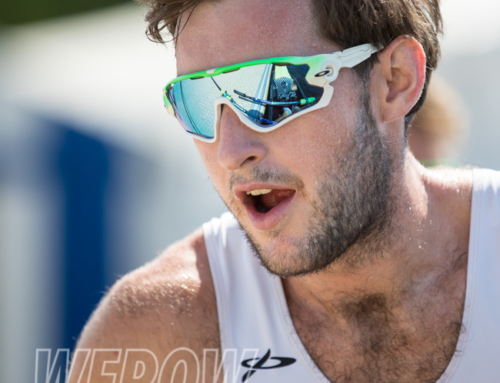 Carlson is a three-time member of the United States national rowing team and has previously won at the Head of the Charles Regatta. 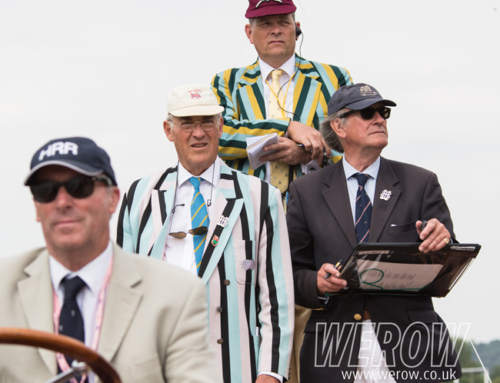 Cassells and his crew got to help out on the Rowing Blazers stand which was very busy, attracting considerable interest from rowers and spectators. “We were happy to give something back,” says Cassells, “Rowing Blazers have been so kind to us and this trip has been just awesome”. “It’s just a shame we couldn’t have stayed for the after-party, I hear it’s pretty legendary but we have training at Caversham on Tuesday so needs must! I had a week in Orlando post World Championships and then some time in Coleraine during Hurricane Ophelia. It goes so fast when you’re doing stuff and now it’s the new season already and we’re one year closer to Tokyo”. 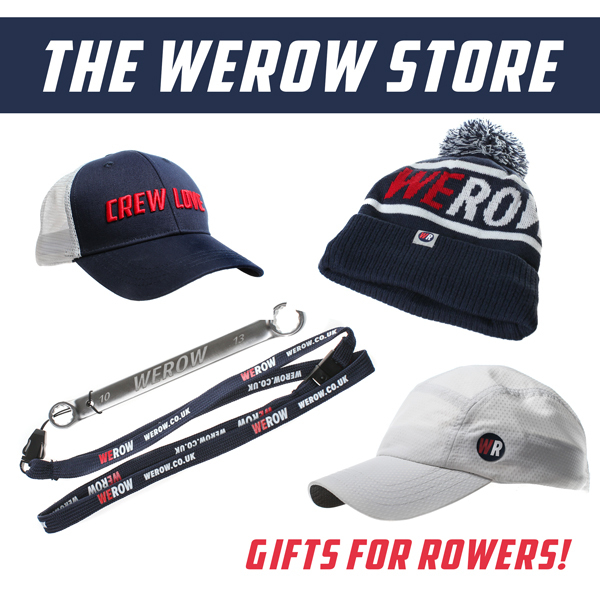 HOCR is the largest two-day rowing event and was started by members of the Cambridge Boat Club (Massachusetts) and Harvard University sculling instructor Ernest Arlett. Arlett was born in Henley-on-Thames and is a distant relative of GB and Edinburgh University lightweight sculler, Maddie Arlett, pictured right. 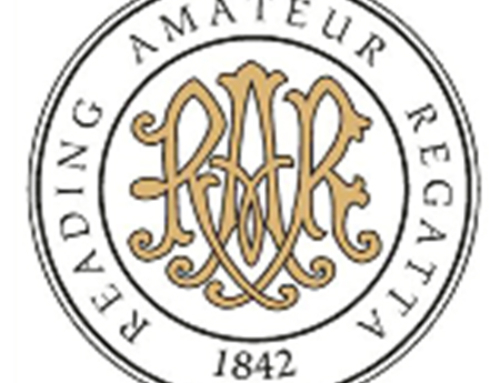 A sculler in his own right Arlett coached Finland’s Olympic crew in 1948, and Jack Kelley when he competed in the Diamond Sculls at Henley Royal Regatta.